Entrance - RUB 1500 for adults paid on the door, children free. 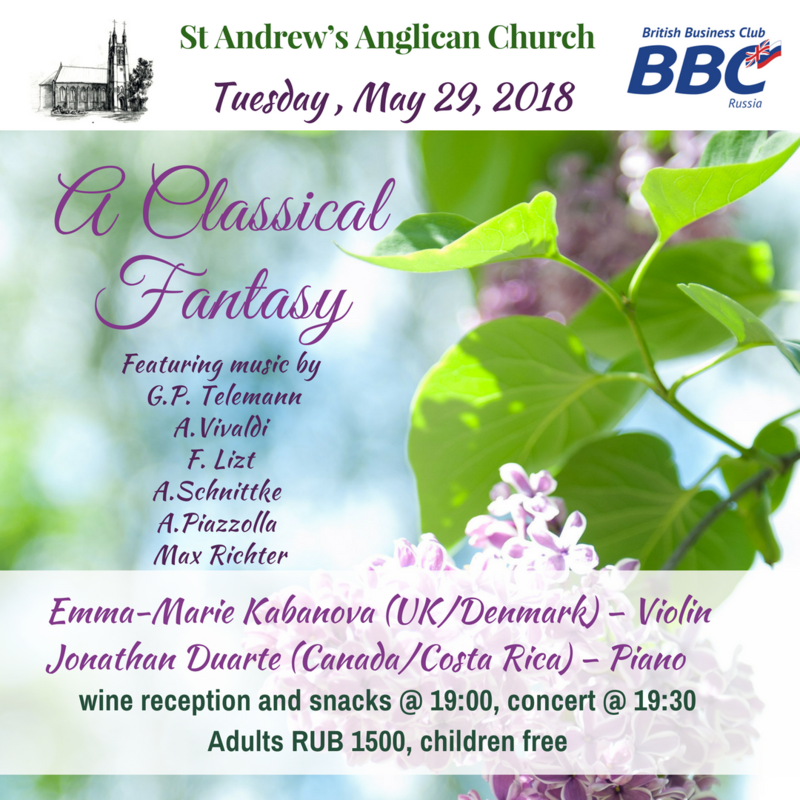 The concert to be performed by Emma-Marie Kabanova and Jonathan Duarte - talented musicians who will be familiar to many of our members following various prior club performances. Wine reception and snack provided. All profits will go to the St. Andrew's Restoration Found. If you have any difficulties with online registration, please contact Svetlana Kondrashina-Scott at Svetlana.Kondrashina@britishclub.ru or +7 916 651 4048.